Eight baby milestones have been discerned and extensively researched: (1) gross motor functions, (2) fine motor functions, (3) perception, (4) cognition, (5) verbal communication, (6) social relations, (7) self-regulation and (8) emotions. 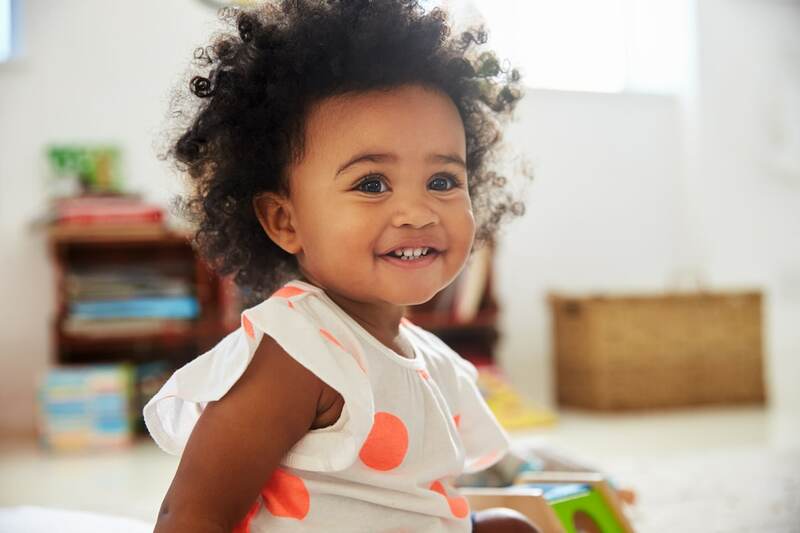 Throughout the first three years, babies progress from more or less stationary beings with little body control to explorers who can roll, sit, crawl, stand, and walk. They learn how to keep their balance and to throw or catch objects. Once this happens, the main milestones of gross motor development have been achieved. Newborns have motor reflexes to interact with their physical environment. Voluntary movements are also possible but not yet well adjusted. During the first weeks of life, infants learn to keep their heads in a stable position without support, before they learn to lift their upper bodies while lying on their tummies. A few months later, another milestone is reached: they can roll from tummy to back and vice versa. Most infants start to move forward and backwards on the floor by four to six months. When lying on their tummy and lifting up their bottom, bending their knees, and then pushing backwards, they find themselves in a perfect position to start crawling. By seven months of age they reach another milestone: they can sit without support and freely move around on the floor. Their legs and arms now become stronger, and soon they learn to pull themselves up the furniture. Once they can reach a standing position, they practice keeping balance without support, and around their first birthday, most infants start to walk. In their second year, they seek new challenges, such as climbing staircases, walking backwards, bending down and straightening up again and standing on just one leg. But it is usually not until their third birthday that children reach another key milestone: daring to hop or jump. Regarding arm movements, throwing and catching a ball can now be mastered, but only if these skills are practised regularly. The fine-tuning of finger movements, and the coordination of finger, wrist, and arm movements, allows infants to manipulate objects effectively, providing the basis for many other milestones, such as cultural skills – drawing, dressing up or using eating tools effectively. Infants need to use hand and finger control to explore objects or surfaces, and to use tools. How do they reach this particular milestone? Newborns come equipped with a grabbing reflex: all fingers immediately close around objects touching the palm of the hand. By grabbing different objects this way, the infant quickly learns that finger positions need to adjust to the size and shape of an object. As they start gaining control over their hand movements at two to three months of age, infants bring the thumb and the other four fingers in an opposing position to prevent objects from slipping. Some time later, towards the end of the first year of life, they also acquire the “scissor-grip”, using just the thumb and the index finger, to hold very fine objects like pearls or a hair. Another important milestone attained early is rotating the wrist of the hand under visual control. That way, infants can not only grab objects, but also look at them from different angles. This skill develops around six months. Around the same time, they acquire the ability to transfer an object from one hand to the other. This helps the baby learn how to move both hands independently. Many fine motor milestones of the first three years also require good coordination with arm, hand, and wrist movements. Among the easier tasks to master are drinking from an open cup without spilling liquid. A more demanding task is to use a pencil for drawing or to open and close zippers or studs. Perception in all but the visual domain is already well developed at birth. Babies feel pain, are sensitive to touch, and respond to changes in body posture. They can smell and taste even subtle differences in odors and liquids. They can also hear well. They quickly learn how to combine information from different senses. One way to detect achievement of these milestones is to look for behavioral responses. Young infants respond positively to the soft touch of their skin but negatively to painful stimulation or sudden changes in posture. They show more movements when feeling cold, and they turn away from heat sources when feeling hot. 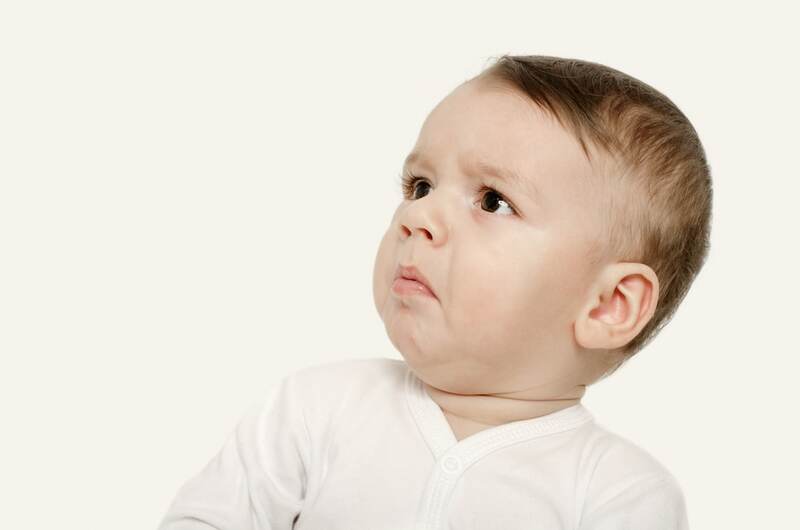 They show disgust in facial expression when confronted with things they don’t like to smell or taste (e.g., rotten food) but respond positively when smelling or tasting things they like (e.g., breast milk). With regard to hearing, clear preferences for complex sounds and human voices can be observed, especially when a familiar person talks in a soft melodic way. Unlike other senses, visual perception is quite limited at birth. But even then, infants prefer to look at facial features and objects with sharp contrasts. Their color vision and contrast sensitivity are still poor, but they can detect moving objects easily. As the visual pathway matures, they learn to fix on objects with both eyes, and their vision gradually improves over the first year of life. This is also true of depth perception. Some intersensory pathways are linked from early on. Newborns automatically turn their heads in the direction of a sound source. They also gradually learn to associate different sensual experiences, thereby forming stable representations for objects and events long before they can be labeled verbally. This marks the boundary to the next major milestone: cognitive development. Cognitive development refers to basic skills (e.g., attention, categorization and memory), and to higher-order skills (e.g., symbolic thinking needed for language acquisition, means-end analysis relevant for forming multiple-step goals, causal reasoning necessary for finding explanations, and problem solving allowing for adaptive behavior). Infants learn how to control their attention, categorize things they perceive, and memorize objects and events. At the next milestone, they understand goal-directed behavior, and they extend their causal and functional knowledge about objects. This allows them to solve problems. Whereas newborns still respond automatically to external stimulation, voluntary attention gradually improves from two to six months. Infants first learn to fix on something, then to disengage attention again, and finally to show focused attention, resisting distractions. With age, attention becomes more focused and can be kept high for longer. When two-month-olds pay attention to different stimuli, they can already recognize similarities common to all exemplars, for example, recognizing different objects as “dogs” because they all have a similar shape and all bark. By seven months, they have been found to identify animate beings based on perceptual cues such as facial features and the ability to show self-initiated movement and to interact with others. This marks a major milestone: the start of conceptual thinking and causal reasoning. Now, infants learn more about causal and functional relations every day. Towards their first birthday, infants start to search for hidden toys and become able to consciously memorize individual objects. Furthermore, they can now imitate action sequences involving multiple steps and memorize events. However, until about three years, they fail to show “elaborated episodic memory”, that is, knowing when and where a given event took place. Around their second birthday, infants pass another milestone, coming to understand that to achieve a certain goal they might need to do something else first, for example, get a cup to be able to drink water from it. Around the same time, they learn to interpret the meaning of gestures, words or other symbols. Such higher-order skills allow them to start combining different memories and to understand more causal or functional relations, thus providing the ground for problem solving. Language comprehension precedes language production. In general, infants understand and produce very short verbal expressions, then gradually learn to put syllables, words and sentences together. From birth on, infants show language recognition of their mother tongue. Until eight months, they remain sensitive to phonemes of all other languages as well. Later, perceptual narrowing leads to a loss of sensitivity for languages that they don’t hear on a regular basis. Nine-month-olds identify individual words when listening to a continuous word flow and show the first signs of true language comprehension. They understand nouns and end-state oriented prepositions (e.g., out, off, gone) earlier than verbs, and adjectives. By 12 months, infants can comprehend simple sentences. Interestingly, two- to three-year-olds still have a hard time interpreting sentences that include negations. They may follow the instruction “Stop that!” but fail to understand the command: “Don’t do that!” They also have trouble understanding long sentences that include side phrases or passive forms. Language production begins at two months when infants start ‘cooing’. Soon after, they enter the ‘babbling phase’, first producing simple syllables (such as “ma”) and then doubling them (“ma-ma”) before they learn to combine different syllables (e.g., “au-to”) at about eight to 10 months. The next milestone is producing longer utterances that sound like their mother tongue but have no meaning yet. This is called ‘jargoning’. They also start using a given sound-combination repeatedly to label a specific entity, thus producing their first meaningful word at 12 months. During the second and third year, infants reach another milestone: they learn to combine nouns with end-state propositions or other words, thus producing simple sentences like “pants off”. These sentences become longer with age as the child begins to speak in multiple sentences. Infants are social beings from the very beginning. They communicate and imitate, share attention and knowledge about objects with others, show prosocial behavior, and play cooperatively. The quality and complexity of these interactions increases at each milestone. Newborns are specifically interested in other humans and soon become engaged in nonverbal social interactions. 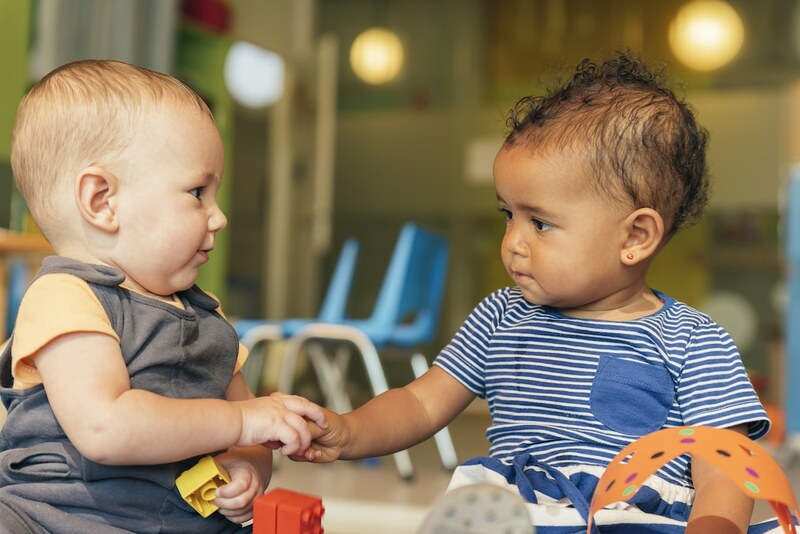 This helps infants discriminate between their primary caregiver(s) and other people, eventually leading to stranger anxiety at about seven months and to clear attachment behavior by one year. Now infants treat their primary caregivers as a safe base for exploration and respond with protest if they leave the room. By three to four months, infants can follow the gaze of other people. 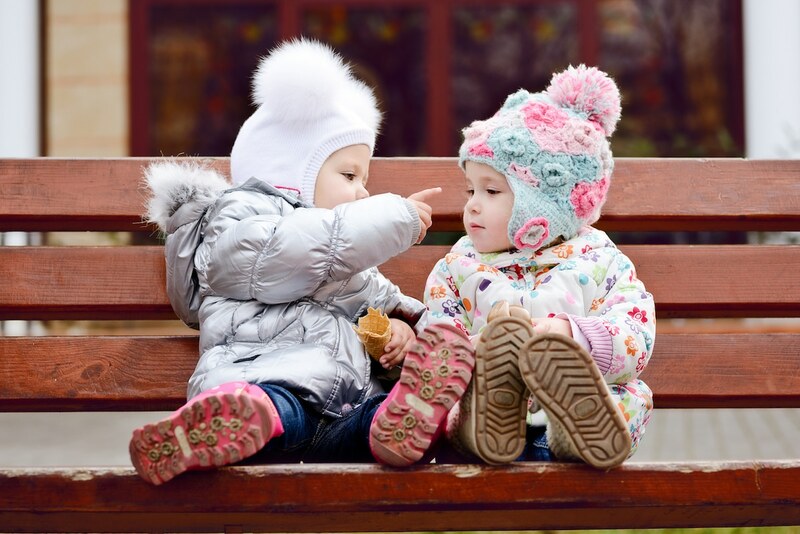 At about nine to 12 months, this behavior may lead to a state called joint attention, when both individuals focus on the same object and are aware the other’s state of mind. Another form of social learning is imitation, which plays a central role in early childhood. Toddlers learn a great deal about our culture by observing and imitating others. Children’s high interest in social interactions also shows in their prosocial behavior. At two years, they achieve another milestone, showing helping behavior. 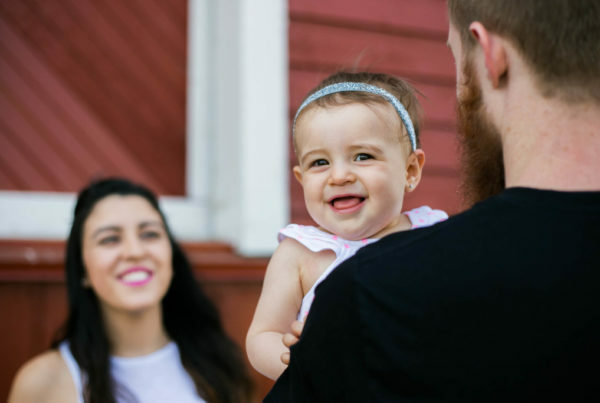 Via observational learning and verbal instruction, toddlers rapidly start to recognize norms – they learn rules of behavior and complain if others don’t follow these rules. Regarding play behavior, infants first show parallel play with others, but soon start to show associative play, exchanging toys or tools and commenting on playmates’ actions. Past their second birthday, they start constructive games like building something in cooperative play. More advanced forms of social play like pretend or role play emerge in the third year. Towards the end of toddlerhood, children reach another milestone—they can play simple rule games like hide-and-seek or catch-and-run. Self-regulation refers to the ability to regulate mental states and behavior, including attention, thoughts, emotions and needs. Early childhood is a critical time for this milestone, as caregivers gradually reduce their help and support children’s emerging self-regulation skills. Self-regulation has a physical, mental and behavioral dimension, including the regulation of sleep and attention, emotions and basic needs, and impulse control. These different skills start emerging in infancy but make greater progress in later toddlerhood. Even newborns can sometimes soothe themselves and regulate their attention without external help, thus revealing a basic capacity for cognitive and emotional self-regulation. During the first months of life, they are primarily developing a stable sleeping rhythm. But when infants are healthy, have regular digestion, eat enough in the evening, go to sleep at a regular time each day, and are not disturbed at night, they can learn to sleep through by three to four months of age. During the day, they may reduce sleeping to one longer nap in the afternoon from their second year on. Another important milestone of self-regulation is to stop wearing nappies/diapers. Again, children’s competences depend on biological maturation and caregiver help, but most toddlers can indicate when they need to go to the toilet, and they typically manage to stay clean overnight by age three. Emotion and impulse regulation are still very difficult for young children, but first attempts can be perceived when toddlers wait until it’s their turn, and when they can deal with frustration and accept prohibitions. It is important to recognize these early milestones of self-regulation and to reinforce them, because self-regulation becomes more relevant soon. In preschool, children are expected to act cooperatively, to consider the perspective of other people, to become patient, and to avoid expressing anger and aggression without restraint. In emotional development, we first observe body-related emotions, then basic emotions and finally complex emotions like guilt, pride or shame, which require self-awareness and knowledge about social norms. Emotions become more differentiated and conscious with age. 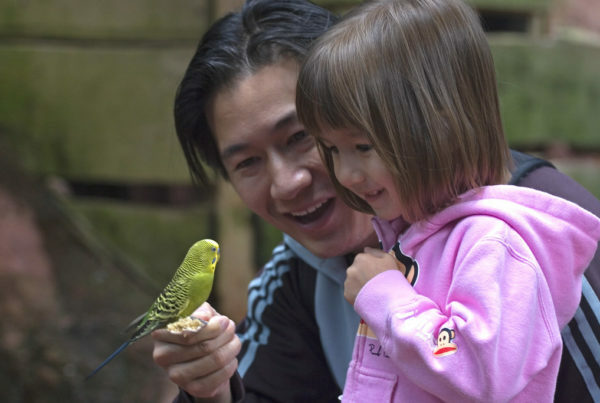 Cognitive and language development, including mental talk, play a critical role in emotion experience and expression. Newborns can express basic emotions like hunger, tiredness, pain, or disgust, but also psychological states like negative or positive arousal, curiosity, pleasure and excitement. Basic emotions become differentiated somewhat later. Infants can now experience various degrees of discomfort, anger or fear, pleasure or surprise, and they develop affectionate attitudes towards certain persons or objects. More complex emotions are closely tied to cognitive and social development. This is true of experiencing guilt, pride, shame or anxiety. These emotions first emerge during toddlerhood. The same is true of emotions like sympathy or pity that involve taking someone else’s perspective, but this is a later milestone and can be observed only in older toddlers. 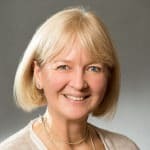 Consciously hiding a given emotion or pretending to have it requires self-control and can thus typically not be observed before the age of three, whereas the unconscious control of emotional expressions (e.g., stopping crying after being picked up by a caregiver) can be found much earlier. Young children find it hard to talk about emotions. They start by naming body states like feeling hungry, tired, or cold. Next they learn to talk about basic emotions like fear or anger. Some older toddlers can start to describe more complex emotions like anxiety. 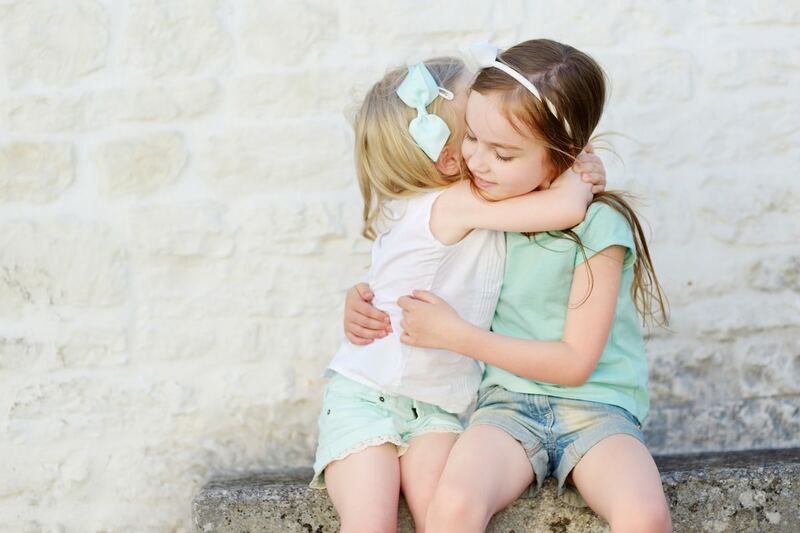 In general, it seems easier for children to name emotions they observe in others than to reflect on their own feelings. Caregivers can support verbal emotion expression by using mental talk, that is, frequently describing their own feelings and needs or those of other people.